Once contracts have been exchanged the buyer and seller are legally bound to complete the sale. Therefore it is vital that both parties are happy with the content of the contract for sale before exchange takes place. 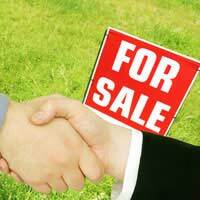 The contract is usually prepared by the solicitor acting on behalf of the seller. Once the initial contract has been prepared two copies are generally sent to the purchaser or their conveyancer. The purchaser can then suggest any changes they want made to the contract – one copy of the seller’s version should be kept as a reference of what was originally proposed by the seller. The contract may then go backwards and forwards between the buyer and seller until both parties are happy with it. Contracts for the sale of land must be in writing. This is a vital difference between contracts for the sale of land and most other types of contracts - which may be verbal, written or a combination of the two. The contract must also include all the agreed terms. The terms may be in another document which the contract refers to but if this is done there is a risk that the term will not have been sufficiently included in the contract. If an agreed term is left out of the written contract the whole document could be rendered invalid. The contract should contain the names and addresses of both the buyer and the seller, the date of the contract (which will be the date on which contracts are formally exchanged rather than the date on which the contract is prepared or agreed) and the date when completion is due to take place. If fixtures and fittings are to be included in the sale this should be referred to in the contract and a list may be attached specifying exactly which fixtures and fittings are included. With any sale of property, or land, the contract must contain a precise and clear description of what is being sold. If the land is registered this can often be done by stating the number and address which the Land Registry has for the property. The Land Registry holds details of the precise extent of each plot of registered land. This should help to avoid disputes about how far a particular piece of land stretches. The Law Society has several versions of a basic contract for the sale of land. These contain certain general conditions which apply to all sales and include provisions regarding a timetable for the performance of the various stages of a sale. These conditions may not be needed if the sale proceeds smoothly. However, if one side delays or fails to complete the other side can rely on these conditions to enforce the contract. The contracts also contain special conditions which relate to the specific sale and include a statement of whether the property is being sold with vacant possession. Some conditions cannot be validly added to the contract. For example, a condition requiring the buyer to use a particular firm of solicitors in the sale would not be valid. The standard conditions of a contract for sale generally provide for completion to take place by 2.00 pm on the completion day. The buyer and seller may include a special condition which gives a different time for completion. This may be particularly advisable in cases where either or both of the parties are in a chain and have other sales completing on the same day. The contract should state whether a deposit is payable and how much the deposit is. Under the standard conditions of a contract for the sale of land the deposit is 10% of the total price. Clearly, if the parties have agreed a different amount the contract should state this. The deposit should be paid to the seller’s conveyancing solicitor at the same time as contracts are exchanged. It should be noted that very different rules apply when a property is bought at auction. In that instance a legally binding contract is formed at the point when the auctioneer’s hammer goes down on the winning bid. The purchaser will almost certainly have to pay the deposit immediately after the auction, when he will also sign the written contract for the purchase of the property.